Richard was born in 1946 and moved to Los Angeles in early 1950's. He joined the navy when he was 17 and was stationed on aircraft carriers during the Vietnam War, mostly near the Philippines. In 1970 he moved to Canada and worked at UBC. In the late 1990's, Richard began working at Positive Outlook Program as an outreach worker. He made an indelible mark on the many patients he connected with over the years with his gentle, laid back approach. He worked tirelessly in service to the Downtown Eastside during some of the worst years of the HIV/AIDS crisis. In 2010, Mr. Johnson took a leadership role as co-founder of the Dudes Club. The "Big Smooth", as he was affectionately known, ran the Dudes Club with tremendous skill and was fiercely respected by all the men involved. His loyalty to the program and the men involved created an atmosphere of safety and trust that set the foundation for the program to grow as successfully as it has. He became quite close with Henry Charles, our Musqueam elder, over the years and together they were the wisdom keepers for our men; always available to provide sage advice and guidance. He was a committed saxophonist, passionate New York Yankees fan and a very proud father and grandfather. Henry Charles was a core founding member of the Dudes Club in the role of Elder, and played an irreplaceable role in establishing the culture, openness, respect, and success of the Dudes Club and many other programs. He was an elder of the Musqueam Nation who resided on the Musqueam reserve in Vancouver. 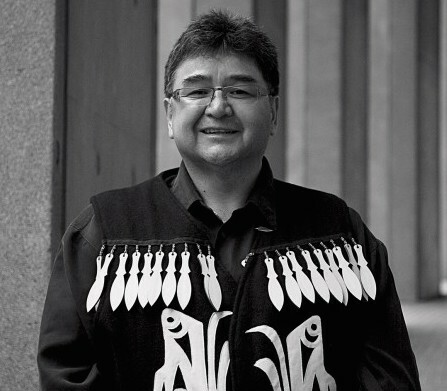 Henry was regularly commissioned to do First Nations storytelling in local schools, and previously served as the Vancouver Public Library’s Storyteller in Residence. In addition to his role as husband, father and grandfather, Henry was an accomplished writer, storyteller, Native historian, greeter, and Musqueam speaker. Born in Quebec, Paul moved out west in the 1980s. He brought a balance of tireless energy, French joie de vivre and a deep loyalty to the Dudes Club. He was fiercely dedicated to doing whatever he could to help reduce the opiate overdose crisis. He saved countless lives doing outreach in the alleys and apartment buildings of the Downtown Eastside. He also spearheaded an initiative to have other dudes club members receive training to administer Narcan. Thanks to his many years of experience in the food services industry, Paul proudly acted as our chef from 2015-2017.